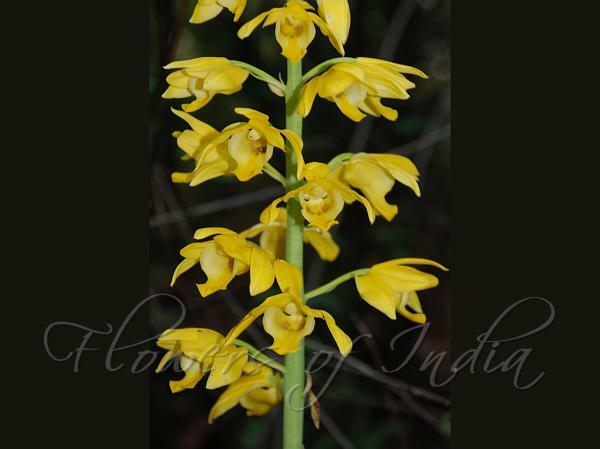 Yellow Eulophia is a beautiful orchid found in sparse woods, grasslands or sunny places of the Himalayas and SE Asia. It is a large terrestrial orchid with beautiful yellow flowers. Leaves are elliptic to lance-shaped, 40 cm long, 5-6 cm wide, with a pointed tip. Flowers are 3-5 inch in diameter. 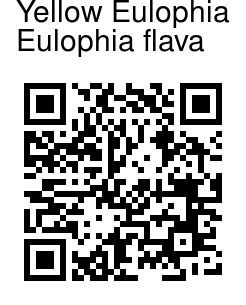 Flowers are borne in an erect panicle up to 2-2.60 m. The panicle can contain 30-50 flowers. Flowering: April-June.